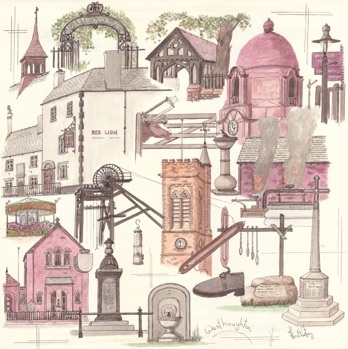 Westhoughton Local History Group aims to provide something for everyone who is interested in the history and development of Westhoughton through the centuries. The Group has grown steadily since it was established in 2005 and fortnightly meetings upstairs in Westhoughton Library now attract over 70 members. Some are content to come and listen to presentations or to meet old friends whilst others are actively researching the history of the town. Recent research concentrated on Westhoughton in the wake of World War 1 with an exhibition opened in November 2018. A number of publications have been produced over the years and details of these can be found on the publications page of this website. The Pretoria Pit Disaster website www.pretoria.org.uk. is dedicated to the Pretoria Pit Disaster when 344 men and boys died following an underground explosion on 21 December 1910. The site includes press reports of the accident and contributions from relatives who lost grandparents at the time. The History Group also produced a dvd to commemorate the centenary.